Northside Band Festival – Wednesday April 26th – 7p.m. 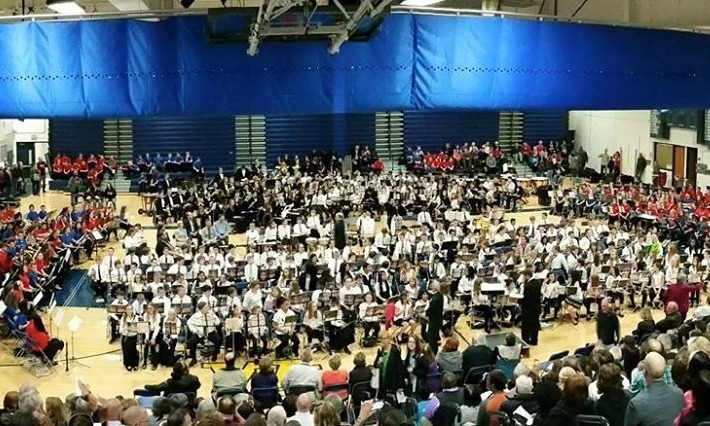 A great night when all bands related to Wheaton North High School participate together in a concert. This special event features band members from Middle School 6th grade through high school seniors 12th grade. The night showcases player development and demonstrates the music education available to Wheaton North students. The video below is the finale featuring all bands playing together Ode To Joy (Beethoven, arr. Longfield).